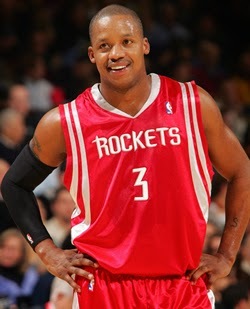 Former Houston Rockets, Orlando Magic and New York Knicks guard Steve Francis got dragged to the floor, stepped on and choked by his own chain, which was later stolen, during an altercation at a hip-hop show in Houston over the weekend. Francis, 38, was one of many people on stage during a concert by Houston rap duo the Sauce Twinz. For one reason or another, beef began to broil, and before long, Francis found a hand around the gold chain around his neck, then found himself on the floor. Sources told TMZ that the as-yet-unidentified man who grabbed the chain ended up making off with it, and that police were not called to the scene in connection with the fight or the theft. This is the latest in a string of sad and somewhat concerning updates on Francis over the past year, as the nine-year NBA veteran and former No. 2 overall pick in the 1999 draft — who last played pro ball in China in 2010, making just four appearances for the Beijing Ducks before being cut — has become considerably more likely to make headlines for things going awry or getting weird in nightclubs than for anything else.